The United Nations General Assembly adopted on Tuesday a non-binding resolution that will acknowledge happiness as an indicator of a country’s success, saying that this is critical to advance economic growth and social progress. Calling the "pursuit of happiness" a "fundamental human goal," the resolution recognized that it was a universal goal, which is in the spirit of the UN's Millennium Development Goals (MDGs) which are the internationally agreed on developmental goals. The resolution called on a "balanced approach" to economic growth that can lead to sustainable development, poverty eradication, happiness and well-being of the planet. The UN General Assembly has Bhutan’s ambassador, Lhatu Wangchuk, has been lobbying political leaders on his proposed ‘Gross National Happiness’ indicator for the past 10 months. He secured the backing of 66 countries before the UN accepted his plan on Wednesday. Countries will now be measured on their quality of life in terms of wealth but also health and happiness. 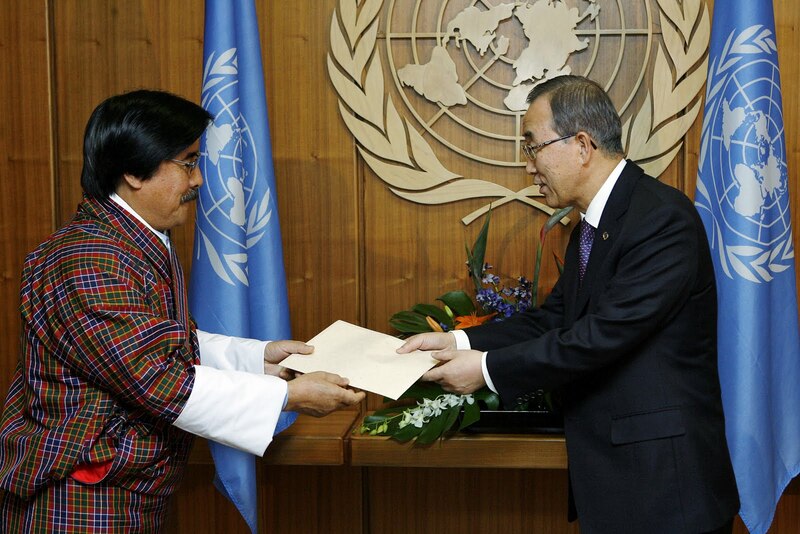 Lhatu Wangchuk, Bhutan's ambassador to the UN, whose country was a co-sponsor of the resolution, said it was "inspired by the belief that we need to begin discussing a topic whose moment has come, at the United Nations." "The draft resolution reflects this important spirit and invites them to elaborate additional measures that better capture happiness and wellbeing with a view to guide their public policies, " said Wangchuk. He also said that Bhutun has offered to convene a panel discussion on the theme of happiness and wellbeing at the next session of the General Assembly, which will be held in September.